I have loved music for as long as I can remember, but for most of my life I've never considered myself a musician. Every time I've tried to learn how to play an instrument it would only last a short amount of time and I never really got over the hump of playing something fluently. My experience with music was always a mixture of pleasure and frustration. After moving to Norfolk this summer I decided to redesign my relationship with music and learn how to play the guitar from scratch, going back to basics and revamping every aspect of my approach to music. My first memory of playing an instrument was when I was six or seven years old. My grandmother had just received her mother's baby grand Steinway piano from the 1920's. I sat down and played a few keys and it felt different to me than anything I'd ever felt before, but I was too interested in playing soccer outside than sitting on a piano bench. During my first semester at university in New Orleans, I lived on a floor full of musicians. I remember watching a jam session in one of my friends rooms down the hall and I couldn't help but stare at the fiddle player. His eyes were closed and he was playing the most incredible solo. You could feel the ecstacy on his face just by watching him and you could hear it change the feeling in the room for everyone else as he played. It was in that moment that I decided "I am going to learn how to play music." Later that week I met a girl who offered to sit down at a piano and teach me a few things. I learned the major scale and was fascinated by the patterns she suggested. After that first session at the piano, I had an excited converesation with a good friend of mine where I wondered "What if music is God's expression of love to humanity outside of light?" based on the premise that even in total darkness we can feel and appreciate music. I had been reading a variety of sacred texts and was fascinated by the experience that Muhammad had whilst meditating in a cave in total darkness that inspired the Qur'an and the creation of Islam. Late one night I stopped reading one of the texts that I was studying at the time and headed downstairs to the piano room. I intentionally didn't turn on the light and closed the door behind me. I heard the click of the door latch, I heard myself say "Fear not" and smiled as I sat down at the piano bench. I started playing the scale that I was shown, fumbling around the white notes in the dark. There was chaotic noise and dissonance for quite some time, but at one point there was a palpable shift where I began listening instead of thinking about the music I was playing. My fingers became a conduit for the sound I was feeling, and although I had no technical capacity I began playing the most incredible passionate music, singing at the top of my voice and seeing a vivid light inside my closed eyelids. I played for hours and hours, to the point of tears and breathlessness and back again. At the end of the experience I looked at my phone and realized I had been playing nonstop for almost four hours. Since that night in the piano room I've struggled to develop any consistent musical ability. I bounced around from piano to guitar and even tried learning violin at one point. I wrote and recorded several songs but nothing ever felt quite right, I was always frustrated with the sound and the feeling that I heard in my mind and couldn't communicate with my fingers. I'd get lost in an endless loop of a four bar measure and not find my way out of it. I'd write a piece that bounced from one time signature to several others and then I couldn't play it the same way consistently. In September I decided to address these problems I had with music and approach it like a design project. I defined the problems I experienced and did some research about potential solutions. I read articles online about learning an instrument and looked into several books. After comparing several books, I decided to read one in particular called "The Practice of Practice: How to Boost Your Music Skills". While reading this book I realized that practice was at the heart of my problem with music. In all the years since deciding to learn how to play music, I never practiced music properly. I would always fling myself at an instrument or a song and expect it to go well and then be frustrated when things didn't go the way I planned. While reading Jonathan Harnum's book on music, I starting sketching out a plan that would include a structured daily practice routine for three months followed by a period of reflection and adjustment. I wanted to learn the fundamentals of guitar and music theory as a foundation for songwriting. I'm coming to the end of my three months experiment with guitar and am starting looking deeper at music theory and songwriting as a craft. I have grown so much in the short amount of time that I've invested and have matured so significantly that I thought it wise to write a formal reflection and share with others who might be struggling with their acquisition of a musical instrument. I've spoken to several other people since I revamped my relationship to music and it's surpising to hear how many people start learning piano or guitar and never get past that initial hump. Google allows you to dump form responses into a spreadsheet, so I set that up with a new tab called 'Analysis' that would allow me to perform simple functions on the form responses so I could learn from the data I was collecting. In my mind this experiment of collecting data around practice could grow into something much more substantial with a kind of dashboard which would provide me with key insights about where I am strong and weak musically. Along with my structured practice routine I decided to create a well-defined Learning plan in my favorite project management tool to help provide a big picture view of my learning guitar project: Trello. The final core component of my experiment as been unstructured practice and improvisation: Times that I don't schedule, structure or limit. I just decide that I want to play guitar so I sit down and start playing. 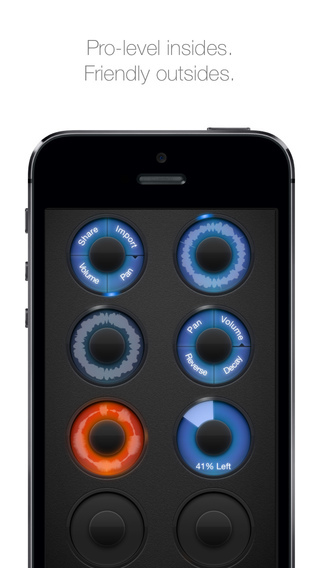 For the majority of these sessions, I've used an app called Loopy that has definitely become a favorite over the years. Its available on iPhone and iPad and is a fantastic application that allows you to record multiple loops of varying lengths and combine them in any way you want. Loopy allows me to play in rhythm and set the appropriate tempo for what I'm feeling, record several layers of tracks and do pretty much whatever I want within the 'loop' constraint. I haven't written fully-fledged songs in these sessions, but I have written little snippets of music that have given me a lot of pleasure. This kind of scientific approach to my musical development was exactly what I needed. I suspected that it would make a difference, but I don't think I envisioned just how much I would grow in merely 50 practice hours. I've had so much fun with this method of practicing music that I'm considering making an app that can help musicians make the most of their practice sessions. And if the old adage that 'practice is key' really is true, I think it could make a big difference in the lives of musicians and would-be-musicians around the world. What if you could access a library of different practice structures from talented musicians around the world? What if you could mix and match different routines based upon different skills you're trying to develop? What if you had a dashboard that showed you insights into your musical development that you couldn't find anywhere else? Over the next few weeks I'll be prototyping a music practice app based upon my experiment above. I'll also be revamping my practice sessions moving forward. I'd love to hear your thoughts about the article and learn if you'd be interested in trying out a practice app to help you become a better musician. Feel free to send me a message or reach out on social media using the links in the footer below.